Midwestern Gothic staffer Sydney Cohen talked with author Sarah Bruni about her debut novel The Night Gwen Stacy Died, mixing comic books and novels, living inside a borrowed story, and more. Sydney Cohen: What’s your connection to the Midwest? Sarah Bruni: It’s where I grew up and where most of my family still lives, in and around Chicago. I also spent four years in Iowa City during college, and three in St. Louis during and after an MFA program, so although I haven’t lived in the Midwest for nearly a decade, it’s the part of the country where I started reading and writing, where I’ll always have deep personal roots. SC: Your novel, The Night Gwen Stacy Died, heavily incorporates aspects of the classic Spider-Man comic books through the characters’ names as well as their adventurous spirits. Spider-Man lore is an interesting component of pop culture to incorporate in a novel. What inspired you to weave comic book fiction with your own narrative? What were the challenges of this process? SB: A character appeared in a short story I was working on and surprised me by introducing himself as Peter Parker. At the time I knew virtually nothing about Spider-Man; I was never a comic book reader. But I was curious about the kind of life history and reading habits that would lead to that particular kind of delusion. When I realized that Peter would become a central character in a larger project, I read a decade or so of Spider-Man comic books, which allowed me access to the fictional world inside of which my character had grown up. The challenging, and compelling, part of working with the narrative spaces of comic books was navigating how the borrowed parts of that fictional world would be grafted onto the working lives of my characters, and how different the result would look through the eyes of Peter and those of my female protagonist, Sheila, as they each interpret and borrow from the parts of the comic books narratives that suit their own needs. SC: The Night Gwen Stacy Died further plays with and intertwines the genres of fantasy, thriller, and coming of age through character Sheila Gower’s somewhat surreal and mischievous relationship with Peter Parker. What draws you to these genres, and how did you navigate between them to create a cohesive novel? SB: I can’t say that I was consciously aware of moving between these genres while writing. I think that often as writers we construct the narrative blind, as dictated by the necessity of characters’ motivations, and only later we learn how the work might be classified. In my case, it was news to me that my novel negotiated the borders between thriller, fantasy, and coming of age fiction. I like this intersection, but I can’t say it was ever a clear ambition of mine. SC: The novel takes place in a journey across the Midwest, from small town Iowa to Chicago. How does the geographic setting of the Midwest influence other aspects of the novel? Besides geography, what elements of the Midwest play a role in the characters’ motivations, personalities, or otherwise? SB: I feel that in some way each of the protagonists suffers from a kind of Midwestern variety of loneliness in which nothing is necessarily or clearly wrong, or if it is, problems are not discussed. Mostly, I was interested in the tension that existed between a mundane Midwestern working world and a hyperbolic imagined one. After Peter and Sheila flee Iowa for Chicago, not much about their actual day-to-day lives change: they quickly begin working regular hours at mimimim wage jobs similar to those they left behind. There’s a stubborn practicality inherent even in their sense of adventure and change, which strikes me as particularly Midwestern. SC: Your novel deals largely with the influences that stories have on one’s identity creation, specifically dealing with Peter Parker’s assumption of the classic comic book hero’s name. What interests you about the dynamic of identity and literature? How has your own identity been influenced by the stories you’ve read? SB: Like a lot of writers, I probably spent too much time reading and observing as a kid, which I’m sure had a direct effect on my gravitation toward writing. I have always been fascinated by the way that literature provides access to other worlds that we can imagine existing inside of and how they influence who we become and the choices we understand as available to us. In this novel, I wanted to experiment with making literal the idea of living inside a borrowed story, to the extent that the characters’ identities become confused by their relationship to it. I wondered what might happen if a character truly occupied his version of such a story, how the relationship between a personal history and an appropriated one might generate discord as versions of self complement and contradict one another. 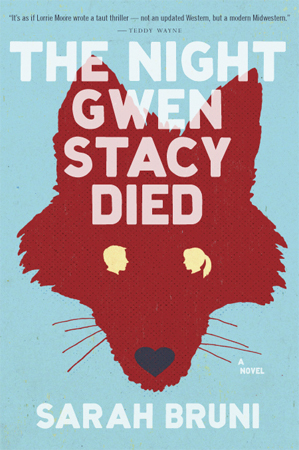 SC: The Night Gwen Stacy Died is your debut novel. What surprised or challenged you about your writing process? If you could start over from the beginning, would you do anything differently? SB: I drafted so many different versions of this book over the course of years. It grew out of a short story collection in which only one story featured the protagonists of the novel. So it surprised me that it grew into a novel at all. Early on, I resisted allowing the book to change significantly throughout those drafts, which made the process toward publication quite a long one. As a writer it can be difficult to learn how to relinquish control of the project and let it grow into something else other than the thing originally envisioned. As much as I might wish to have been more efficient in embracing the project’s shifts, I also understand that my process tends to be very slow and deliberate. SC: What is your ideal writing environment – the sights, scents, and sounds? SB: I prefer to write at home in the early morning hours. I have a difficult time working in public places because I’m very easily distracted by any kind of conversation or external stimuli that can drag me pretty quickly away from writing. The most ideal conditions: on a porch or near an open window, with fresh air, endless coffee, and complete silence. I tend to move around a lot and share a variety of living spaces, so I can’t say that those conditions are always, or even often, met. SB: I’m finishing up an MA in Latin American studies and literature at Tulane in New Orleans this fall. The chance to spend a few years studying literature in a tradition outside of the one I grew up with has influenced the way I’m thinking about narrative lately. I’ve been writing a piece that might be growing into a new novel manuscript. That’s my hope for it anyway. Sarah Bruni is a graduate of the University of Iowa and the MFA program at Washington University. She has roots in Chicago, taught creative writing in St. Louis and New York, and volunteered as a writer-in-schools in San Francisco and Montevideo, Uruguay. The Night Gwen Stacy Died is her first novel. 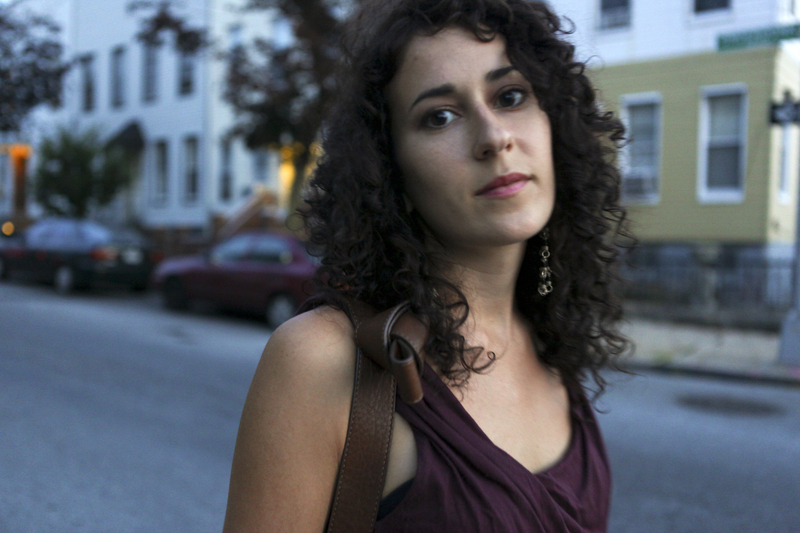 She currently lives in New Orleans, where she is pursuing an MA in Latin American studies and literature at Tulane.